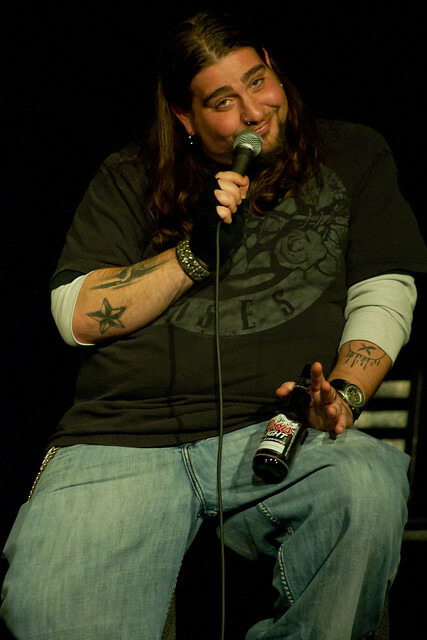 New York’s Big Jay Oakerson closed out the inaugural Dark Comedy Festival in Toronto on Friday night, gliding through an hour of crowd work-inspired stories and musings at Comedy Bar. If you missed the show – and chances are you did – there are already rumblings that you might soon have another chance. Jay can be seen regularly at the Comedy Cellar in NYC, and his album American Storyteller is available on iTunes. Click here to view the full set of photos from this show. dude, you guys are twins. Ah, but you see, Todd, I have something that Big Jay does not: a sad, insecure internet stalker whose entire sense of self-worth was destroyed by a single block of text on the internet. This could only pleasure me more if I could actually see the tears of rage cascading down your cheeks.